Done Right. Period. It's more than a slogan. It's the peace of mind you get with 24 months of ToYourRESCUE™ FREE with any purchase at Tuffy. 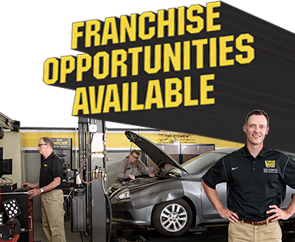 Or knowing your repairs at Tuffy are covered by a 24 month or 24,000 mile (whichever comes first) nationwide warranty on parts and labor — good at over 30,000 auto repair shops across the country. Or that we give your emergency a sense of urgency with our SOS appointments. At Tuffy, we stand behind our work and promise that it will be Done Right. Period, or we'll fix it for free*. *Certain restrictions apply. See store for details.